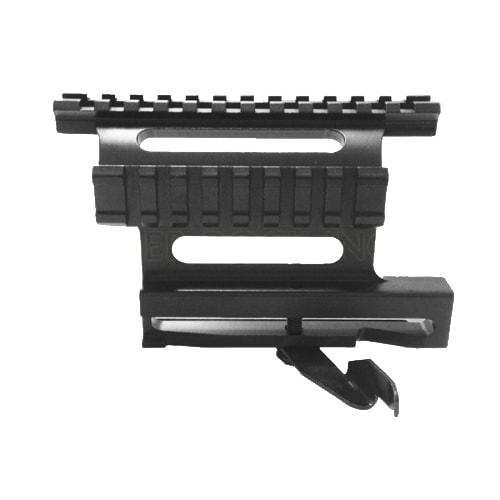 AK Quick Release Side Mount w/ See-Thru Rail. 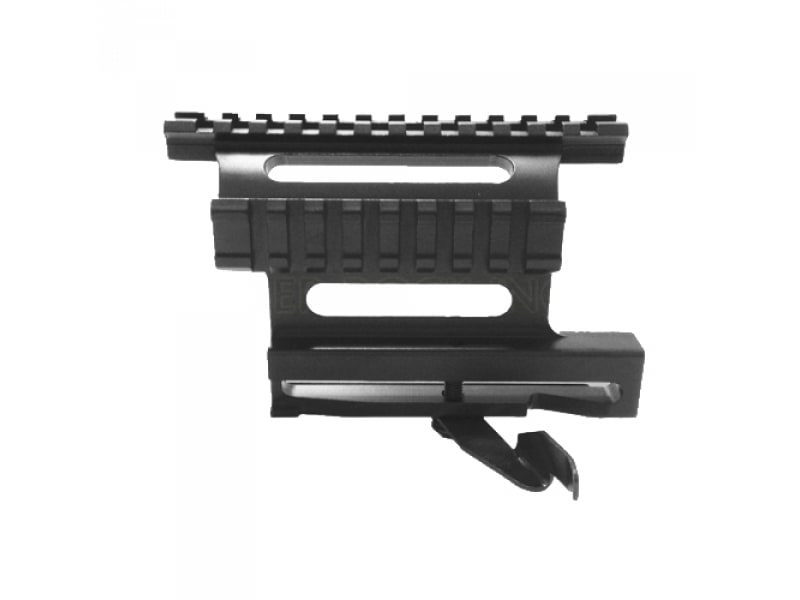 Allows you to install a tactical light or laser in addition to a rifle scope or red dot scope to your rifle. This scope mount has a quick attach/detach locking lever for tool free installation and quick removal. Made from black anodized aircraft grade aluminum. Accepts all 1" Weaver style rings.